Do you want a long-lasting, dark, gorgeous tan with minimal time in the sun? 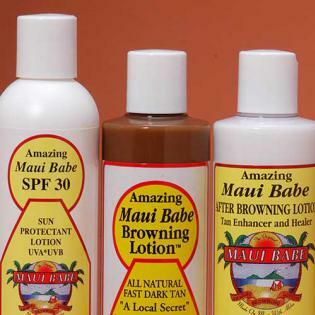 The amazing Maui Babe Browning Lotion will give you an amazing tan to go home with that is safe, fast, and beautiful. You’ll be truly amazed by this local and natural tanning secret, which minimizes time in the sun, while maximizing your golden tan. This greatly reduces the long hours that are normally necessary for getting a desired deep tan. Made from all-natural Hawaiian ingredients, including aloe for skin and burn soothing, this formula is perfect for those looking to enhance their tanning experience and see long-lasting results. 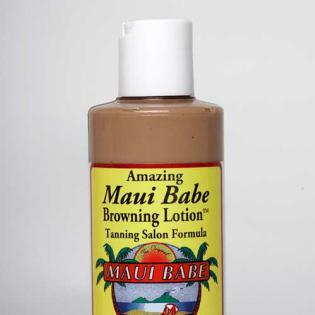 Our Maui Babe Browning Lotion is even safe for the fairest and most sensitive skin, and for use with our SPF 30 sunscreen. For those that have spent their time soaking in the Maui sun rays, our After Browning Lotion is perfect for helping to heal parched, dried out skin that needs a little bit of extra healing care. This lotion also helps to prevent the flaking and peeling that may occur after a beach adventure. 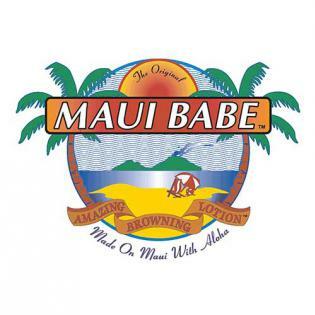 Maui Babe Browning Lotion is available in stores, island-wide. Enjoy your golden tan year-round with Maui Babe!